FINALLY A FAMILY-FRIENDLY PLAN TO DITCH PROCESSE​D FOODS AND SUGAR! Do you want to eliminate processed foods and sugar from your family's diet -but don't know where to start? Or have you tried a program in the past to eliminate gluten, grains, dairy, and sugar but ended up doing it alone because your family would never eat the allowed foods? We all know that feeding our family more fresh foods, whole foods, that bring more nutrition per bite is important for our health. But when you have a family, work full time, manage after school activities, homework, and juggle a busy schedule; the last thing you want to do is make multiple meals, at every meal. There are many great 21-day and 30-day programs that help us get rid of sugars and processed foods, but none of them focus on the family as a whole. Can you imagine how much easier it would be if you had a program filled with kid-friendly recipes that provided options so you only had to make one meal for the entire family? Hi! My name is Laura Fuentes and this is my family. Years ago, when I tried 21-day and 30-day programs that focus on eating whole foods and eliminating sugars, I did notice that I felt better -my body was saying "thank you!" for feeding it what it needs. However, none of the programs helped implementing the suggested recipes and guidelines with my family. My kids, after all, are kids and many of their favorite foods were nowhere to be found (or allowed) in the plan. So every time I tried a new program, I ended up having to make making multiple meals for my family. I there's one thing I strongly believe in when it comes to cooking, is that no one should be a short order cook. My philosophy is to make one meal for the whole family. So, I took all that I learned about food and nutrition in the past fifteen years and combined it with the recipes my family and fans already love to create a family-friendly program to "reset" our eating habits, make us feel better, and provide more nutrition per bite. It's simple, easy to implement, and with foods that kids of all ages will actually eat. And I'm very excited to share this with you today. that helps you eliminate sugars and processed foods from your family's diet. It's 100% gluten-free & Paleo compatible. KickStart can help you eat real foods at every meal. You can prep most recipes ahead to save you time. And best of all, it's filled with recipes kids will actually eat. how family kickstart is different. Here's the thing. There’s a lot of nutrition challenges, detoxes and clean programs out there. But the Family KickStart Program is different in a number of crucial ways. For starters, KickStart is not a challenge. It's a full program created to encourage good eating habits while eliminating gluten, dairy, and sugars for the whole family by introducing foods with a lot more nutritional bang for your bite than previously eaten before. It's also not a detox - unless you've been eating bagels for breakfast, sandwiches for lunch, frozen meals for dinner, and convenience foods for snack. In that case, it might look like a "detox" since the program doesn't include refined sugars or carbohydrates that are likely to turn into sugars. Finally, it's not a cleanse. I mean, who wants to poop for days and eliminate the good stuff with the bad? On the contrary, with Family KickStart, your digestive tract will thank you after a few days for letting it do its job properly after eating meals with more vegetables. Many of my family's digestive issues went away, like constipation and bloating after meals, after just a few days of eating this way. And many in the MOMables community have reported similar results. Family KickStart is not a scheme to get you buying “special” products with big fancy claims. There are no special drinks, shakes, powders, or pills to take or purchase to go with this program. Just real food. Period. KickStart is different because it takes into account a busy family's schedule as well as kid food preferences. As adults, we often do these other programs alone with little support from our family, which makes it very difficult to eat that way long term. KickStart is designed to help you and your family get started towards achieving your healthy eating goals. 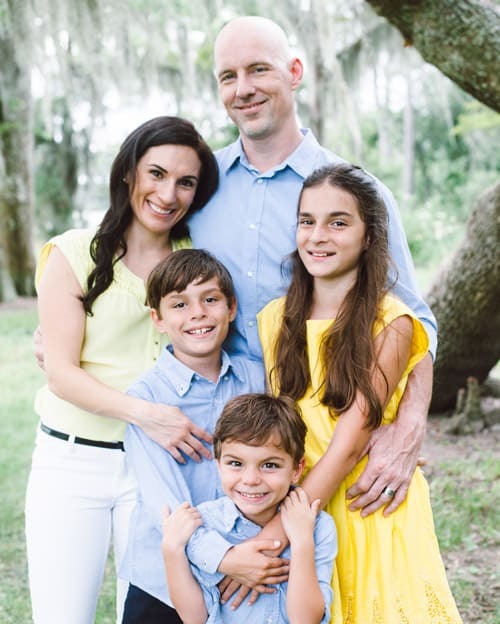 "I finally have a way to eliminate sugars and eat real food for 30 days as a family. The "recipes for the busy parent" are a huge time saver. And the Slow Cooker 'Lasagna' Recipe blew my mind -lasagna without pasta? Oh yes. It's now on our weekly meal rotation." "I thought we ate healthy but after looking at the foods in my pantry, I realized much of our food was processed. With KickStart, I've learned how to feed my body so it's fueled to stay healthy and live healthier. I did the program at Level 2 and my husband and kids at Level 1. It was easy to follow, flexible, and we all ate the same things. -a huge relief!" will it work for me and my family? If you've tried other 21-day or 30-day programs with your family and were left discouraged because you "didn't finish it" or the rest of the family members weren't very receptive, you are not alone. It takes time to implement the changes we need in our lives to see the results, and when you have a family in the mix, it can be more difficult. I mean, how many times have you wondered what to make for dinner that is compatible with your plan and that your family will actually eat? Or, wanted to make changes as a family but knew they wouldn't eat the foods? I know this program will work for your family because the meals "don't look weird," and thanks to my kids, you have two pancake recipes to choose from (they told me to tell you that). 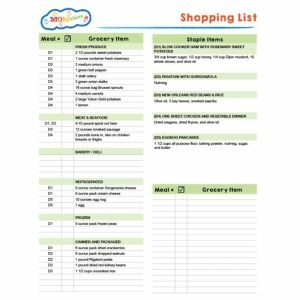 In addition, all the prep is broken down so you can tackle the kitchen like a boss, and shopping will be a breeze with the organized lists. Everything has been planned and organized in beautifully to help you succeed. Fortunately for you, you don’t have to do it alone and it doesn’t to be as hard for you as it was for me. With KIckStart, you have guidance every step of the way. Eating whole-foods and ditching sugar has been quite transformational but it hasn't been an easy journey. In my teens, I found myself 30 pounds overweight and feeling like I never quite "fit in." Fortunately, I was able to get to a healthy weight by eating very similar to the KickStart Program (unknown to me at the time). In college, my weight was a mess. Up 10 pounds, down 5, up 10, down 15... yo-yo dieting at its best! My body did not like the "low-fat" dieting trend that was popular at the time since it included lots of added hidden sugars, nor did it like the amount of whole-grains I was eating for nearly every meal. Looking back, my diet primarily consisted of refined carbohydrates, (often hidden) sugars, and processed foods. An apple a day was not going to "keep the doctor away" long-term. When I became a mother for the first time, I taught myself to cook real food so I could feed my family better. So, I found shortcuts that made eating fresh meals daily possible. 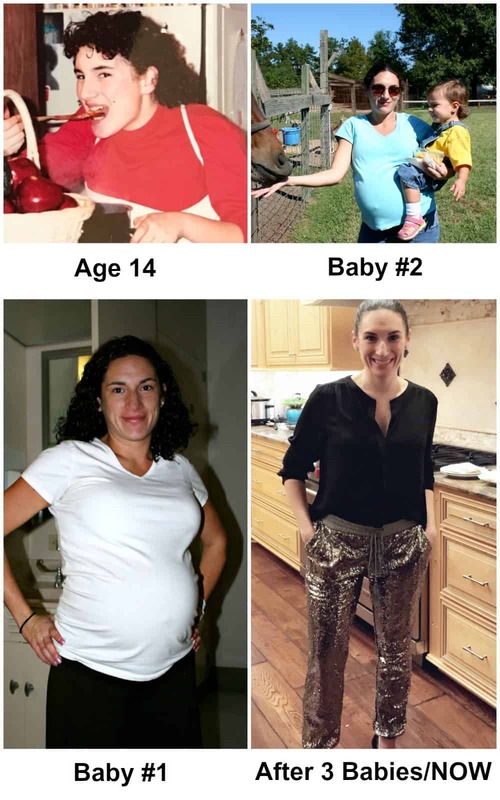 With all 3 pregnancies, I gained (a healthy) 40 pounds. And each time, I relied on eliminating processed foods and sugars to take the weight off, and keep it off! 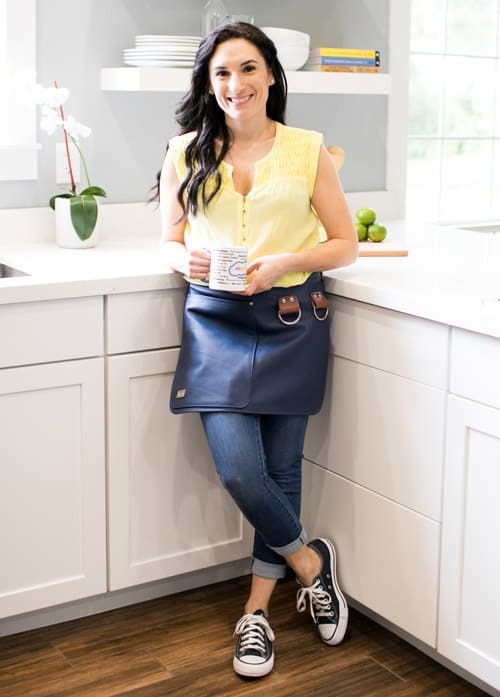 Since 2012, I've been sharing many of my recipes online, inside my 4 cookbooks, on television, to nearly 1 million monthly visitors to my websites, and more than 350,000 families inside my email list. Over the years, I've repeatedly been asked "what do you eat?" "How did you lose the baby weight?" "How do you make one meal for the whole family?" And... "how do you work full-time, keep up with being busy with your family's activities, and still find a way to eat real foods?" The answers to those questions and more are all inside my Family KickStart Program. is kickstart a whole30 program? NO. We are not affiliated with the Whole30 brand and don't sell KickStart claiming to be part of their program. However, we are both built with no grains, no gluten, no dairy, no processed foods, no sugars for 30 days as the foundations of the program. The only difference is that Whole30 does not allow for baked foods or treats made with "approved" ingredients. Recreating recipes, like pancakes, with approved ingredients is a no-go. In an ideal world, kids would eat scrambled eggs and vegetables or egg quiches for 30 days. As a mom to 3 kids (11, 10, 6) and having more than 80K parents in our community with many kids, I am of the realistic approach that there is no way my kids will eat scrambled eggs and vegetables or a variation of scrambled eggs for breakfast for 30 days. 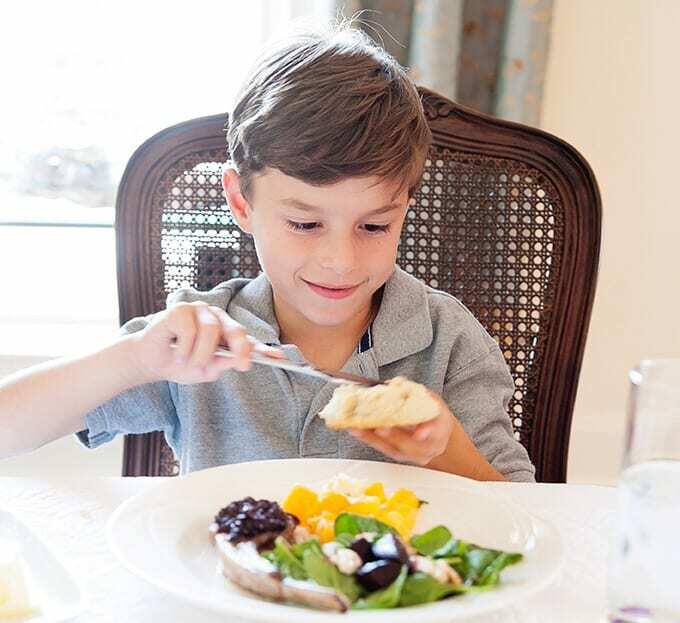 Providing options that are kid-friendly with approved ingredients is why so many families have succeeded with the KickStart Program: it allows them to focus on the quality of the food, train their palates, and feed their families better. All the ingredients inside of KickStart "Whole30 approved." However, our program is designed for families to succeed at implementing the bigger picture: which is to eliminate grains, gluten, dairy, processed foods, and sugar from their families diet. NO. If your family follows a vegetarian or vegan lifestyle, this is not the program for you (sorry!). Many of the protein in the meals come from animal sources and are very difficult to substitute. 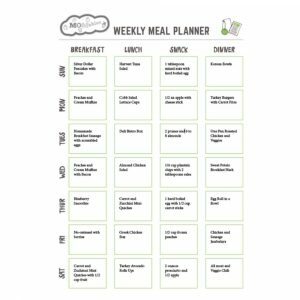 What Kind of meals are in the program? Our Family KickStart is very much like a Paleo eating style plan or a Whole30 program. There is no gluten, no grains, no dairy, or legumes. You may substitute beans for protein but as you will read inside the KickStart Guide, you will understand that the plan aims to reduce inflammation and provide the body with more nourishing amino acid chains from lean animal proteins that are not always found in than plant-based proteins. You can often substitute chicken for shrimp or fish, to suit your eating style. With KickStart, you'll be eating a lot more vegetables than most people eat in their standard diets. However, it is not a plant-based plan. We take the best and most favorite recipes of our community and created a plan the entire family can enjoy. Family KickStart is perfect for families with food allergies since it's fully gluten-free, soy-free, grain-free (Level 2), and dairy-free (Level 2). There are nuts present in the program but can easily be substituted with a nut-free alternative or omitted. Is there a "start" Date? what if i don't eat pork? Great question! Our recipes are flexible enough to swap out one protein for another. For example, a pork roast can be swapped for a beef roast. Easy peasy! Keep the protein weight the same and you should be fine. We are allergic to nuts. Are there a lot of nut recipes? Fortunately, the lunch recipes and snacks inside of KickStart do not rely on peanut butter sandwiches. Whenever nuts are listed as an ingredient, you'll see a nut-free option as well. SERIOUSLY. HOW "STRICT" IS THIS PROGRAM. In all honesty, you will see some guidelines on what to eat and not to eat. Inside the KickStart Program Guide you'll see the foods that should be eaten and avoided. After looking at the list, you'll realize the "eat" list is really big. If it's fresh, whole foods, it's probably on the list. The program also offers two levels: Level 1 and Level 2. Level 1 includes things like rice, which is naturally gluten-free, Level 2 does not. I HAVE A SWEET TOOTH. NO TREATS FOR 30 DAYS? I've got you covered there too with our KickStart Treat Recipes (a Bonus). My kids would not be happy or as supportive without a weekly treat to look forward to. Level 1 is 100% gluten-free and soy-free. It allows fruit (1-2 servings per day), is composed of lots of vegetables and proteins. The program does have healthy fats built in (avocado, coconut milk/oil, etc), and offers a lot of variety in 30 days. Carbohydrates mostly come from vegetables and in some meals, rice if you choose to have it as an option. Dairy is extremely limited and there are a few recipes with parmesan cheese on top (I found that this made it easier for my kids to enjoy) and always optional. Level 2 is gluten-free, grain-free, dairy-free, soy-free. Basically, it's your Paleo approach with limited fruit (about 1/2 cup/ 1 serving per day). You get most if not all your carbs from vegetable sources in delicious recipes. 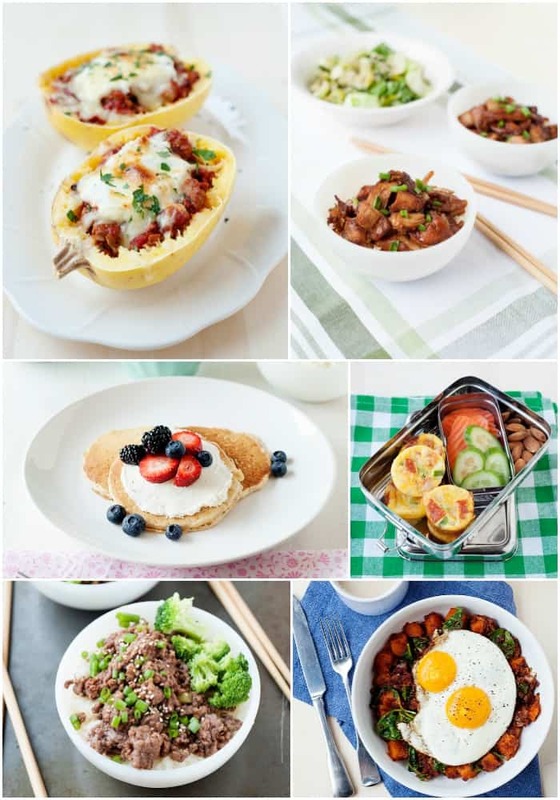 The beauty of the KickStart Program is that no matter where you are in your eating journey, you will find that the recipes are like the foods families already love. 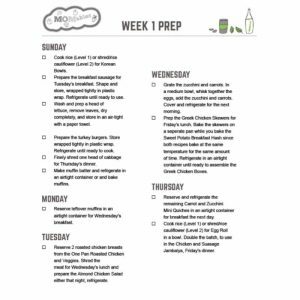 Whether you have a pantry full of processed foods or you are already eating pretty clean, the program is flexible enough to help you make the changes necessary to make you feel good about the way you and your family eats. Alex, age 7. Buttering his grain-free drop biscuit. Shopping Guide: where to shop for food (since most of us don't grow it) and save money. How to Stock Your Pantry: full printable list. Food "Swap" List: helping you transform some of your favorite recipes for beyond the program. Easy Homemade Treat Recipes: because we all get a sweet tooth from time to time. Eating Out Guide: healthy choices when dining out are available, you just have to know what to look for. Kitchen Tools 101: you don't need any special equipment for KickStart but many of our members asked for a list. I know you'll also find support and inspiration over on Instagram on both @LauraSFuentes and @MOMables. Join others and share your journey by sharing photos of your #FamilyKickStart adventure on Instagram. Sharing will provide accountability and you'll soon meet other families that are doing the program too! If there is anything you are not satisfied with, please reach out to me within the first 14 days of purchase (help@momables.com) and we'll see if there is anything I can do to support you. This program presents the research, experiences and ideas of its author. It is not intended to be a substitute for consultation with a professional healthcare provider. Consult with your healthcare provider before starting any diet. The Author and the Company disclaim responsibility for any adverse effects directly or indirectly from information contained in this program. By purchasing the program you agree to the terms.